WHO Owns the Des Moines REGISTER ???? BAIN CAPITAL = MITT ROMNEY !!! Just a little add-on note regarding Romney’s “major boost” from the Des Moines Register. In May 2010, the Gannett Company, which owns the Register, entered into a contract with WSI, a broadcast meteorology group for Gannett’s TV stations. WSI is a member of the Weather Channel, which in turn is owned by a consortium of NBC Universal, the Blackstone Group and – dun dun dun – Bain Capital. In addition, The Des Moines Register ALSO ENDORSED NObama in 2008 !!!! 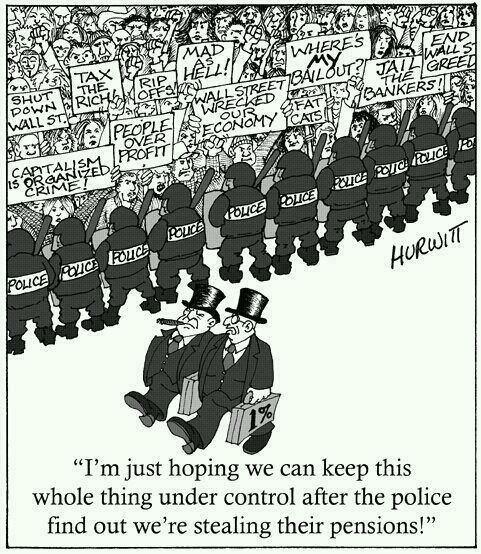 Sound familiar ??? NObamaCare = RomneyCare !!! – RP12 – Ron Paul 2012 !!! 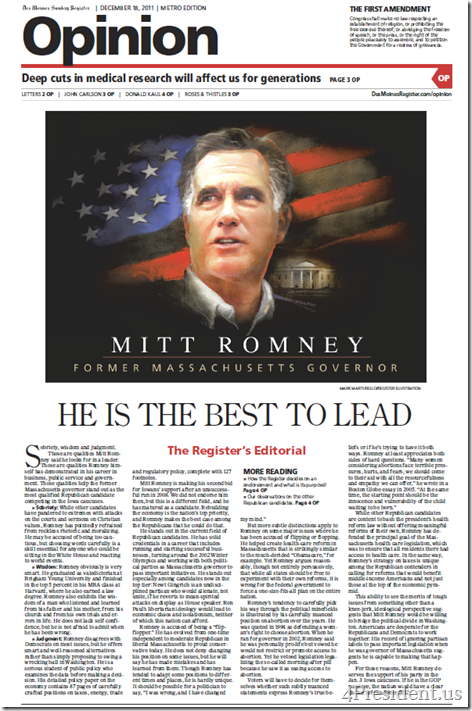 Does Mitt Romney really own the Des Moines Register? but there were no links for verification. So I found verification for you. Is there a link. Yes. It is tentative, but it is there. MITT THE MAN WHO ENDORSES HIMSELF THRU HIDDEN DECEIT !!! MITT THE MAN WHO ENDORSES HIMSELF THRU HIDDEN DECEIT !!! !